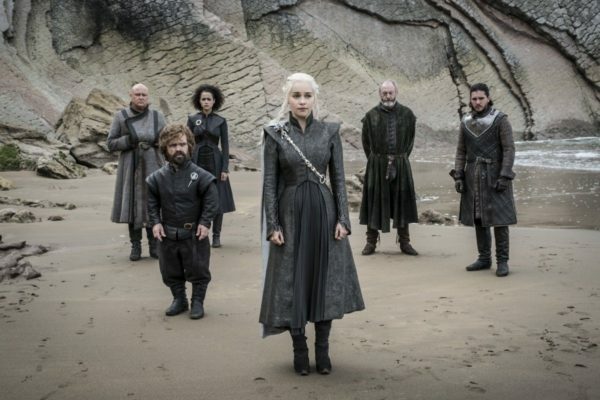 Starring Emilia Clarke, Nikolaj Coster-Waldau, Peter Dinklage, Aidan Gillen, Kit Harington, Lena Headey, Diana Rigg, Sophie Turner, Maisie Williams, Liam Cunningham, Carice van Houten, Nathalie Emmanuel, Indira Varma, Alfie Allen, Gwendoline Christie, Conleth Hill, John Bradley, Isaac Hempstead-Wright, Jerome Flynn, Hannah Murray, Joe Dempsie, Kristofer Hivju, Rory McCann, and Iain Glen. 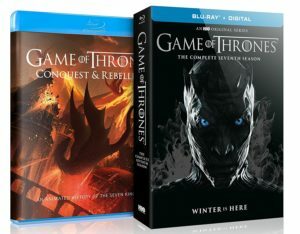 HBO’s hit series Game of Thrones is barreling toward its eighth and final season, and the seven-episode seventh season is out now on Blu-ray. Commentaries are available for all the episodes, with four episodes getting two tracks each, and a nice assortment of bonus features help break down what happened this year so we’re all ready for next year’s conclusion. I was hooked at that moment and have been a faithful viewer since then. There’s something refreshing about a show that’s not afraid to throw any of its characters to the wolves (sometimes literally) at any time. 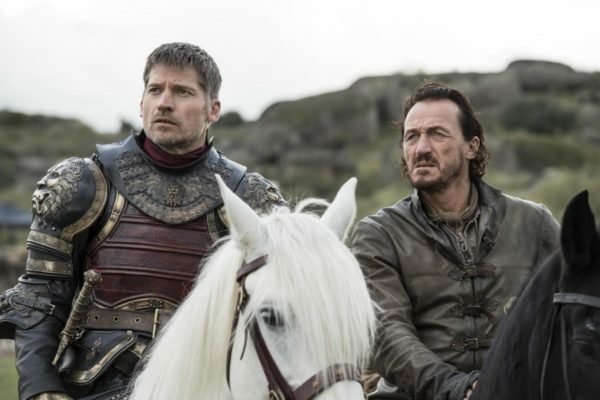 Just like Seinfeld broke the mold for what you should expect from a sitcom, Game of Thrones has broken the mold for what you should expect from an epic series. Even the characters you could characterize as “good” in Game of Thrones have dark sides to them, and those who oppose them have moments where it’s possible to feel some pity for someone who’s usually an awful person. But, then again, that’s the way real life tends to be, and while no one should mistake the show for a history lesson, the storylines offer some food for thought regarding morality. The first six seasons of the series spent a good amount of time building the conflicts between the royal houses and setting the stage for the war to come. In the background, winter was on the horizon and the Night King and his legion of White Walkers were marshaling to attack the wall keeping Westeros from being overrun by the undead. The seventh season, however, quickened the pace. Events that might have taken a few episodes to unfold took just one to play out. Having just seven episodes to move pieces across the Westeros chess board was a big part of that, and I assume that the abbreviated length was a trade-off for the big-budget special effects that appeared more often than in the past. The shorter season also required show runners David Benioff and D.B. Weiss to take more shortcuts than usual. Characters’ ability to get from one place to another much faster than usual was a cheat that spawned many Internet threads, and there were a few examples of deus ex machina at work, such as the miraculous reappearance of Benjen Stark. That said, if you’ve been along for the ride since the beginning, none of that was probably enough to swear you off the series, especially with the promise of the final eighth season around the corner. 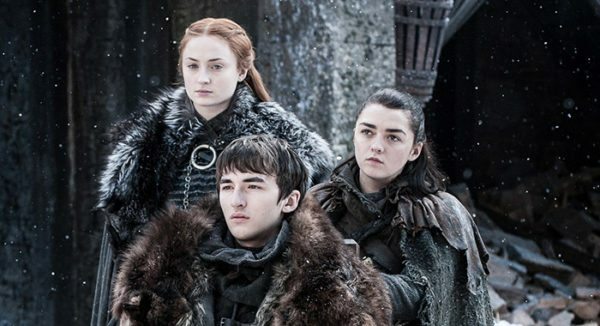 The end of the seventh season put the pieces in place for a rip-roaring six-episode finale that will bring the story to a conclusion long before Martin publishes the final two books in his series. Eleven commentary tracks on all the episodes. A different group of cast and crew members appear in each track, and four episodes have two commentaries each. Each episode also has an in-episode guide that provides information about the characters and locations, along with a Histories and Lore animated piece that gives the history behind each episode. From Imagination to Reality: Inside the Art Department: This is a two-parter that chronicles the creation of the seventh season’s sets. 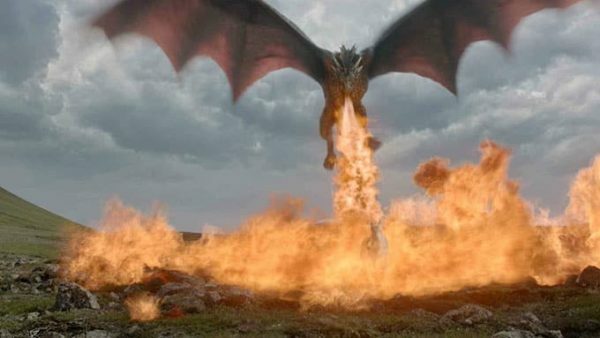 Fire & Steel: Creating the Invasion of Westeros: Considering that the events in season seven were more tumultuous than usual in the series, this featurette devotes its time to breaking down the creation of the major plot turns. 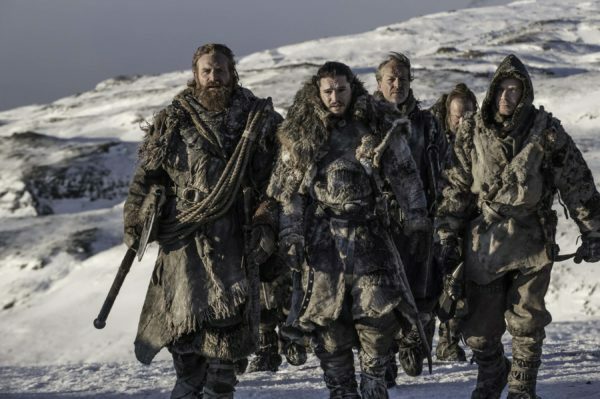 The digital download of season seven has an additional featurette that digs into the battle that spans the last two episodes. I find digital-only bonuses to be a bit annoying, since they’re clearly geared toward pushing everyone toward the cloud. While that might not seem like a big deal, I have noticed that the fine print on such things usually says that the studio reserves the right to yank the content at any time, which is unsettling. In addition, what happens in the event of a corporate buy-out or a company going out of business? 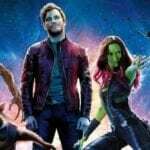 While the latter is highly unlikely for any of the major studios, small companies are susceptible to such things, and buy-outs can happen at any level of the capitalism food chain. Either one could disrupt access to digital-only content too. I have seasons 1 thru 6 on Blu-ray. Screw the cloud, screw subscriptions, screw Game Of Thrones, screw HBO.